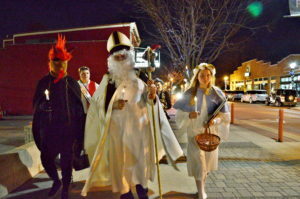 St. Nicholas Day, or Svatý Mikuláš in Czech, is typically celebrated on Dec. 6, but festivities will be early this year in Czech Village in Cedar Rapids. The traditional Czech celebration will take place Friday, Nov. 30, beginning at 6:30 p.m. at Aces and Eights, 62 16th Ave. SW.
Related: Learn about other Czech events in Iowa. Costumed performers dressed as Svatý Mikuláš (St. Nicholas,) along with an anděl, the Czech word for angel, and čert, a devil, walk the streets to hand out candy to children who have been good or a rotten potato or piece of coal for those on the naughty list. Cookies and cocoa will be available indoors, with songs by the Czech Heritage Singers and a presentation about Czech and Slovak holiday traditions. The Czech Heritage Foundation’s Czech Royal Court will make an appearance at the event and lead participants outdoors to a tree-lighting ceremony at the Kosek Bandstand, at 7 p.m. 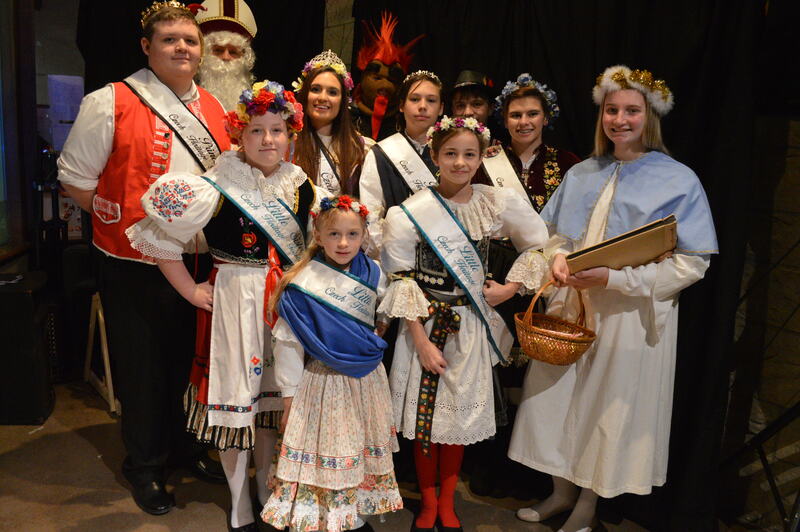 This weekend, from 10 a.m. to 5 p.m. Saturday, Dec. 1, and 10 a.m. to 3 p.m. Sunday, Dec. 2, the Czech Royal Court also will be at the Old World Christmas Market at the National Czech & Slovak Museum & Library, 1400 Inspiration Place SW. Specialty imports and handmade gifts will be sold, along with seasonal treats. Live music and dance performances and free family activities also will be featured at the event. Wreaths and tabletop trees will be raffled at the market to benefit youth programs of the Czech Heritage Foundation. 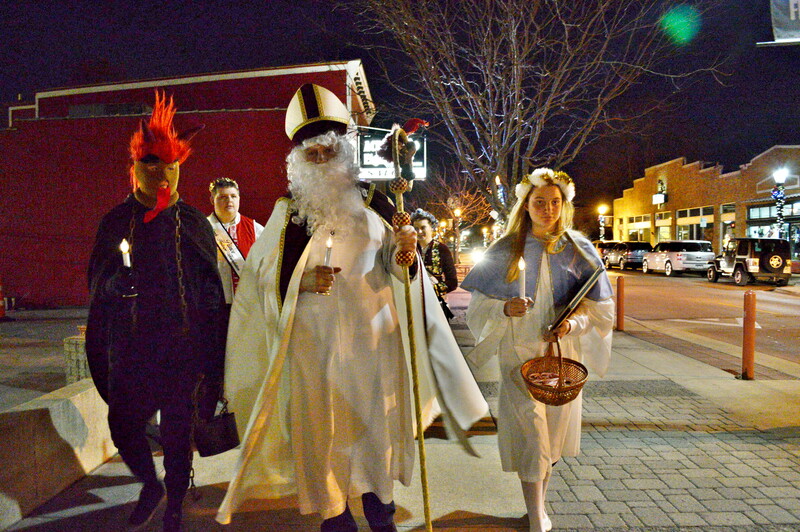 The Old World Christmas Market is part of Deck the District, a neighborhood holiday celebration that extends across the Cedar River to New Bohemia in southeast Cedar Rapids. See photos from both events last year.